When David Cameron commissioned Sir Howard Davies in 2012 he must have thought that 2015 seemed a long way away, and he may have imagined that it would be Ed Miliband making the decision on Heathrow expansion or he would at least have Liberal Democrats in his Government to blame for his hands being tied. 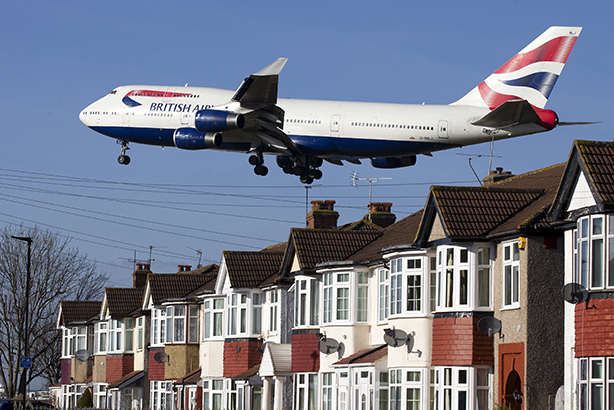 The Prime Minister now has to face down the opposition to Heathrow from all kinds of quarters. Support from Labour for the Davies findings makes the row over where to expand capacity an exclusively Conservative Party conundrum. But, perhaps, Davies has not come down as firmly on one side of the argument as it seems. While Davies says that Heathrow is "the best answer" he also says that Gatwick has "a plausible case for expansion". He also ruled out the scheme favoured by Boris Johnson for a new airport in the Thames Estuary, as "unfeasibly expensive, highly problematic in environmental terms and… hugely disruptive for many businesses and communities". So is the door still open or closed for Gatwick? Cameron has to play off the competing and strongly held views among his MPs and Cabinet. With Johnson, Justine Greening and Zac Goldsmith pledged to oppose expansion at Heathrow at all costs the political fallout could be colossal. Johnson has vowed to lie in front of the bulldozers to stop the third runway at Heathrow while Goldsmith, the current frontrunner to be the Conservatives’ candidate for London Mayor, has said he will resign and force a by-election. On top of this Tory Gatwick MPs are primed and ready to take the fight to Cameron to prevent a second Gatwick runway. The potential for 70,000 new jobs at Heathrow may have great appeal but possibly not for the constituents under the Gatwick flight path in Surrey and Sussex who will fear massive new development. The relative silence of the anti-Gatwick MPs will soon be shattered and while they are not as high profile as Johnson or Goldsmith they do include former justice ministers Crispin Blunt and Nick Herbert, the veteran Nicholas Soames and former PPS to the Prime Minister, Sam Gyimah. So the scene is set for a battle royale. Davies might well be clear that "it's Heathrow" but what is Cameron to do? Surely he is between a rock and a hard place and can’t keep everyone happy in his ranks. On the upside, it's good news for the comms and public affairs industry and battle plans will be drawn and fought. We already know that £10m has been spent on the respective Heathrow and Gatwick PR campaigns and that grassroots campaigns favour Heathrow. Expect some casualties over the next six months and some strong campaigning across the board. The credibility stakes are high for Cameron and trying to keep everyone happy will be like herding cats. Now that Davies has given us the hard facts, the Prime Minister has to make one of the most invidious decisions of his career.